Since we returned home from our vacation to Cat Island Bahamas, it’s taken us a over week to recover, clean our shells, experience our SanCap outrageous shelling, and enjoy our holiday. As you can see by the first photo, yes, it was aaaamazing!!! So now I can continue to tell you how awesome our trip was and give you details as promised. We started off by driving to Fort Lauderdale airport to catch a flight on BahamasAir to Nassau. Long story short…. The flight was delayed and we missed our connection from Nassau to Cat Island on SkyBahamas so BahamasAir put us up in Nassau for the night (nice, right?). We had a blast in Nassau! A day late… but we made it! Okay before I go any further, I’m going to show you a dinner place mat made from a beautiful map of the Cat Island. It’s from a gorgeous resort called Fernandez Bay Villages where we hung out, had drinks, lunch and got great shelling tips from the locals and the staff. I embellished their map with arrows of where we found our best shells and beach bling. Now you can see how far we traveled and explored… From tip to tip of the island and all in between! We shelled just about all of the other beaches too but I narrowed it down for you to the best of the best areas we found. Ask the folks at Fernandez Bay Villages to let you read the shelling review book called “Cat Island Beachwalks” that one of their guests wrote. The detail on shelling holes is amazing! We stayed at Island Hoppinn (the area of the MILK CONCHS) which is a very small bed and breakfast type place (without the breakfast) which has an outside common area where we spent our mornings with John and Jane planning our days’ adventure. On our first day, the owner Cathleen and her sweet daughter Alyssa took us to Flamingo Point on the North Shore where we found lots of green, aqua, amber, brown, a few chips of cobalt and one nice chunk of lavender SEA GLASS. Yay! Check out my last Cat Island post to see the SEA GLASS. We rented a Jeep for the rest of the week (which I highly recommend) if you are explorers like us- you just never know where you will end up. On the southwest point of Cat Island sits a cool little resort and marina called Hawk’s Nest Resort where we met another awesome sheller … JR. She gave us a few pointers on where to find these fabulous SEA BISCUITS (oops!… I put a “q” in BISCUITS on the map- heehee) and she was a wealth of information on the different shells she has found and the island in general. After finding Hawk’s Nest Marina, John decided to go fishing with JR’s husband Randy and we were soooo happy he did. They brought back 200 pounds of Wahoo! Yahooo for Wahoo! John brought a few of those fresh fillets back to our place and Clark grilled them up for dinner one night. YUM! Wild, huh? But let’s get back to OUR yummy dinners… we had the best night at Da Smoke Pot restaurant with owners Rene, Julian and their son J’von. We found out Rene is craaaazy about shelling! She loves to talk about shelling and she even keeps some of her favorite shells behind the bar. See why we loved this place? We had another fantastic meal from Terry as he prepared fresh CRACKED CONCH right in front of us from his little stand on the side of the road near Orange Creek. It was deeeelicious and so much fun to just happen upon! As you can see, most of the island is very undeveloped so if you want a vacation with lots of shopping… this isn’t the place for you. But if you like to shop, Emily’s is the place to buy your straw goods. It was a pleasure to meet Emily and to buy one of her beautiful straw hats to cover up while on the beach shelling all day. Cat Island is such a beautiful, raw piece of paradise. We found many treasures to make us very happy but we are still sorting so I still hope to give you another post with shell details and IDs in the future. So until then, I hope I’ve given you answers to most of the questions you asked on my other 2 posts about our amazing adventure. The shelling was exshellent, the food was delicious, the scenery was heaven and the locals were gracious and kind. Cat Island is a true island paradise. What fun! Thanks for sharing. Loved the shark video! Going to cruise to the Bahamas (my first time both ona cruise and to the Bahamas) and I can’t wait to do some shelling. I only wish we were going to a more remote Island instead of Nassau. Great post and the shark vid was awesome! Was there a limit to any shells to take? 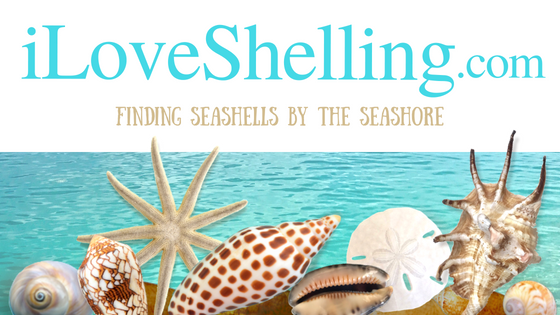 Can you ship seashells from there to home? Oh my…..absolutely exquisite stuff!!!! Even loved the sharks! You guys are something else….I’m enjoying the shelling here on Sanibel right now – TONS of mini’s at Nerita the last 2 days….wow….it was about time!!!!! Hope to see you around soon, Pam. So glad you enjoyed your vacation – love the clear waters…..
Love the cowries and white urchins in the Bahamas! Glad to hear you had so much fun. Such gorgeous colors and intriguing places and people. Oh how I wish I could have stowed in your suitcase! Great Pictures and so beautiful Keep Up the great work!!!!!!!!!!!!!!!!!!! OMG Those sharks!!!!!! Did you get back in the water after seeing THAT!?!?! I love the dark brown straw hat on the door! Great stuff Pam! Wow and wow again! Love all the shells you found-especially the orange and white sea urchin. The shark video was scary-what a frenzy! You found many nice shells our your Cat Island trip. I particularly like the Flame helmet and the Gaudy asaphis. Although they are common in the Bahamas, the Gaudy asaphis has such bright and beautiful colors. It is hard not to like them. OMG! I kept getting dizzy watching those sharks and hoping no one fell in! Amazing footage. Susan, So glad you are finding great shells. I was wondering if there was still such a steep drop to the beach, but I guess it hasn’t gone away. As Donna said, sure wish I was there with you! Pam, You do get to the most interesting places and it just sounds wonderful. I’m adding it to my “someday” list. Having been there one day during a cruise, I’ve been wanting to return to the Bahamas on a shelling trip so this post is perfect! The shells, especially the pastel bivalves, are more beautiful and varied than I could have imagined. It’s nice to hear that the people are friendly, as that can make or break a vacation. Great shark video! Were those sharks in the habit of coming in daily for a meal, or was it a fluke that you happened to see them there? Which beach was that at? I’d guess you didn’t swim on that stretch of beach, right? The slope of the beach is a little bit steep where I am, but it doesn’t seem to prevent good small and medium-sized stuff from coming in. I suppose it’s because we are still having waves. I was at Blind Pass yesterday. There were lots and lots of lady-in-waiting venus. I found two boring turret snails, seven comb bittersweets and a small red-brown ark, which is new to the BMSM list, so that’s pretty cool! well…there was snow here in vancouver washington yesterday, so of course i looked at sanibel real estate and visited iloveshelling to see all the cat island pics again …my way of feeling toasty!!!! so here is my love ditty to sanibel, with a seasonal twist. think OH CHRISTMAS TREE….ohhh sanibelll…ohhh sanibelll…i love your warmth and seashells….. Thanks for your report. Seven comb bittersweets. Wow! I am considering going to Cat Island in January or February with my sister for a shelling trip, can you tell me if you took the tides into consideration? Thank you! Fontaine, honestly we didn’t wrap the vacation around the tides. We chose the dates that could work for all 4 of us and we booked purely on that. It was nice the low tides happened to be in the afternoon but lots of the shells (and debris…. Lots of debris) came up with the high tide. We also found lots of starfish on a beach with JR in July when we were there. Lots of sea biscuits at Shannons Cove. Love Cat Island! Hi Hope! I found one empty Chank at Hawks Nest (a chunk off the tip and a little beat up but the inside is still nice) and saw about 3 or 4 that were alive and well. We found another couple of Chanks washed up on the north shore on the other end of the island… along with some helmets. The water was so rough, they must have gotten thrown up high in the rocks with tide. JR was so much fun to talk to!!! Please tell her I said Hi and we hope to come back to Cat. Oh and those Seas Biscuits were sooooo fragile. From the time I picked one up, it crumbled by the time I got it to the top of my shell bag. Dang! Booked to go down to Cat Island beginning of November. Have you been back since 2013? Any more specifics re where you found the shells please? I got your map but any more detail would be great. I have awife who is nut on shells! I’m leaving for Cat Island in a couple weeks. I was hoping you could help me with any tips that you might habe picked up while you were there.